Whatever your dental needs, our highly experienced and friendly team will ensure you always feel welcomed and well cared for at Total Dentalcare Peterborough. Total Dentalcare is a private dental practice and implant centre serving the local Peterborough area. 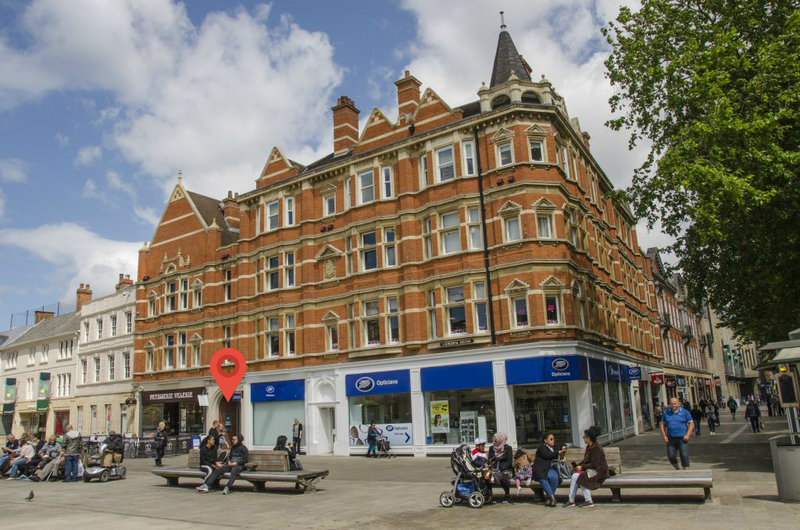 Just a ﬁve minute walk from Peterborough station, we are conveniently located in the Market Chambers building on Cathedral Square, close to the Westgate and Queensgate shopping centres and situated between Boots Opticians and Patisserie Valerie. We offer early morning appointments from 8:30am, late appointments on Thursday evenings and, in response to patient demand, now offer Saturday appointments. Our private practice oﬀers a wide range of general dental treatments and cosmetic procedures including check-ups, coloured ﬁllings, crowns, root canal treatment, dental bridge-work, tooth whitening and smile makeovers, as well as more specialised treatments such as orthodontics and periodontics. Our implant centre, TDC Implant Centre Peterborough, is a centre of excellence for same day dental implants. Using a highly skilled, proven procedure called TDC Smile in a Day (sometimes known as All on Four or Teeth in a Day), a full set of dental implants and a fixed set of teeth is placed in just one surgical visit. It is the perfect solution for people who struggle to eat or are too embarrassed to smile due to the dentures they wear or their loose or missing teeth. By car – Queensgate Shopping Centre car park is very close to our practice – simply type the postcode PE1 1NT into your satnav. By rail – We are just a nine minute walk from Peterborough train station (follow signs for the Town Centre), where you’ll find services run by Virgin Trains EastCoast, Great Northern, East Midland Trains, Abellio Greater Anglia and CrossCountry. Our entrance is located between Patisserie Valerie and Boots Opticians and our reception is located on the third floor.